Madrid is probably one of my most favourite cities in the world and I promise you, this has nothing to do with the fact that I am sitting here, putting together our latest coffee guide. 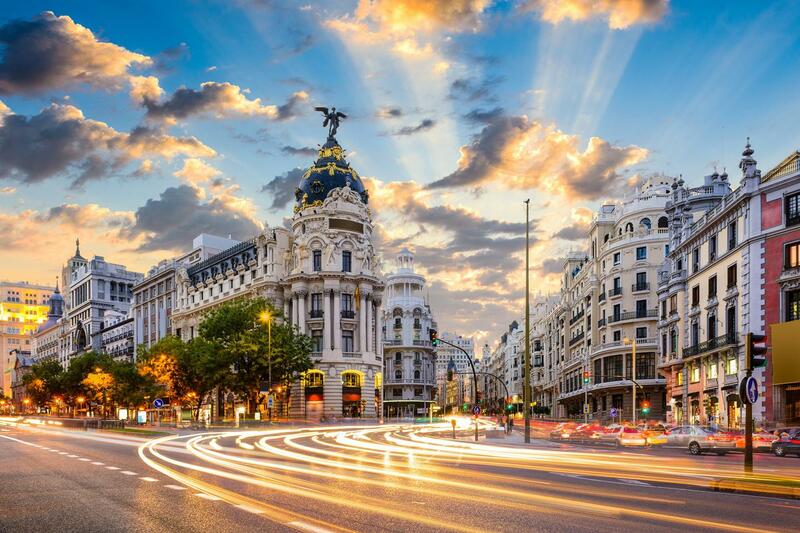 The Spanish capital is just a great place to live and visit. 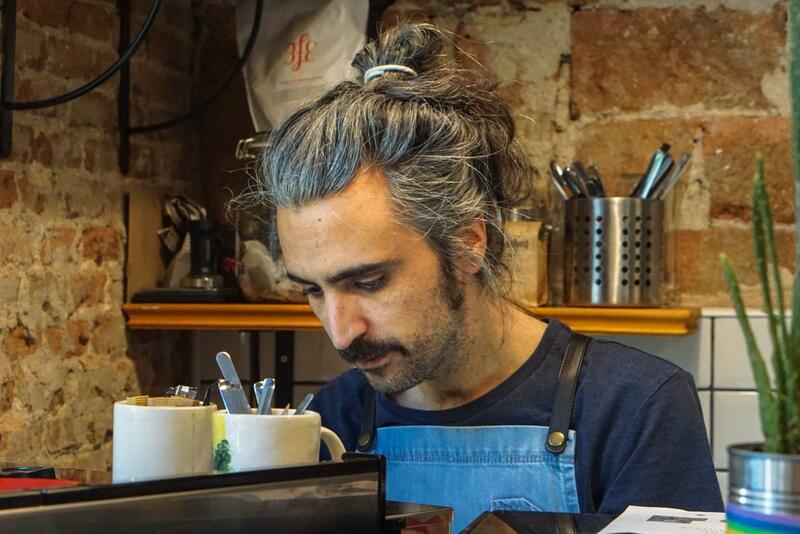 I know few other cities that are so welcoming, friendly, open-minded and exciting as Madrid and I suppose it helps that the city is also home to a vibrant specialty coffee scene. A few years ago it was virtually impossible to get a good cup of coffee in the city, bar maybe Toma Café and Coffee & Kicks, but things have really changed. 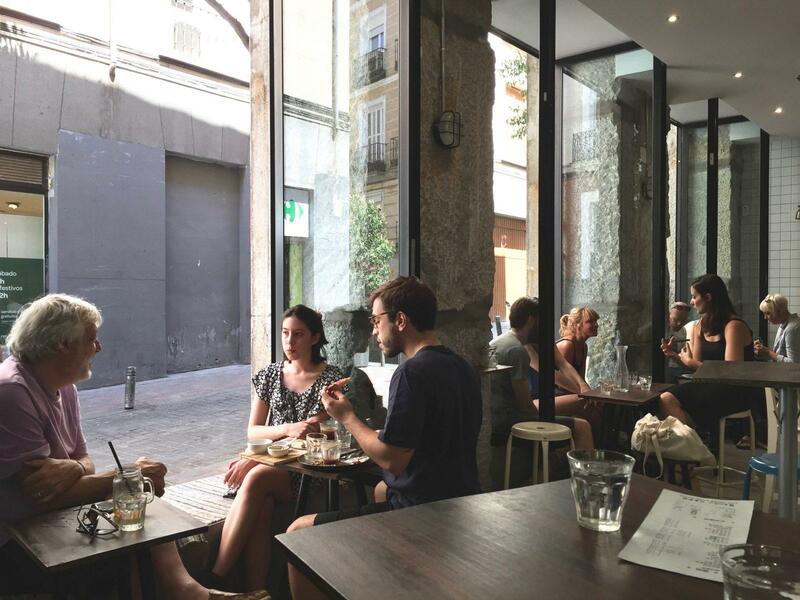 During repeated visits to the city as of late, we are proud to finally share with you our very own Madrid Coffee Guide that includes the 10 best, most surprising and friendliest cafés the city has to offer. Olé! 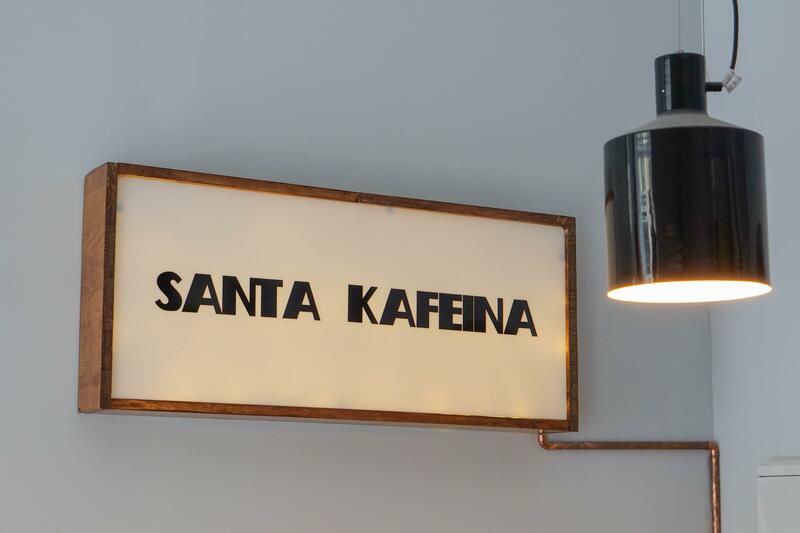 Hola Coffee founders Nolo Botana and Pablo Caballero have done it again. Misión Café is the duo’s latest venture that celebrates everything that specialty coffee is all about while also adding a food element to the mix. Misión is incredibly well equipped, warm and welcoming and staff is what you would expect from the Hola founders: just plain wonderful. Calle de los Reyes, 5, 28015 Madrid – Read our full review here. 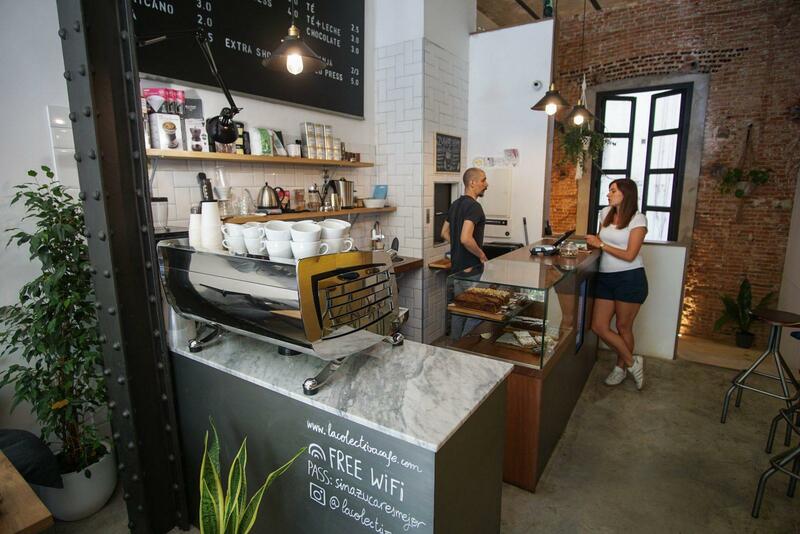 In the heart of Malasaña there is a cosy neighbourhood café that combines the best specialty coffees with Asian influences that together make for a truly unique coffee experience. 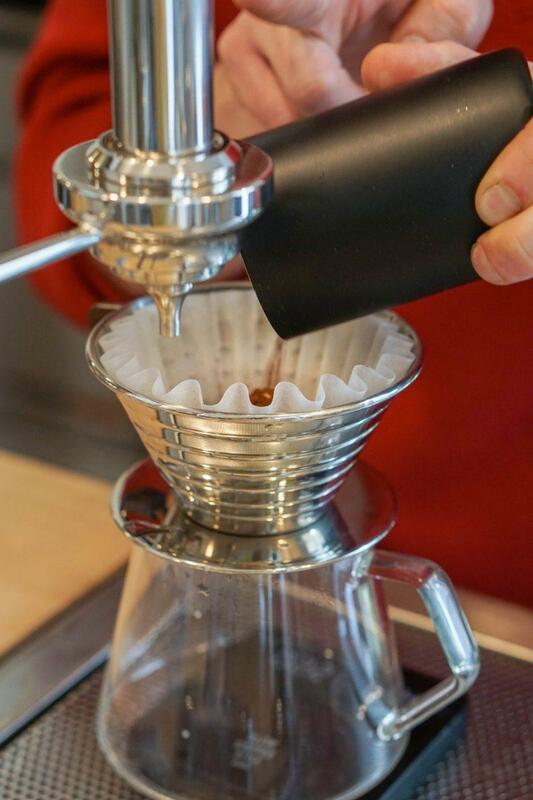 Think expertly prepared coffees combined with Macha waffles, just to give you one example. Yes, YUM! Calle del Pez, 20, 28004 Madrid – Read our full review here. 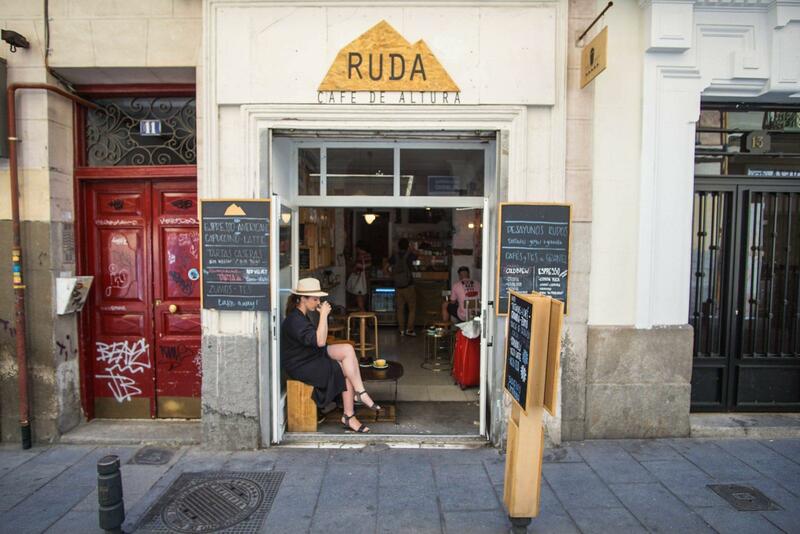 La Latina is famous for its food, flea market and beautiful cobbled streets, but until Ruda Café showed up on the scene, you had to head elsewhere for a good cup of coffee. This warm and cosy café serves up a nice selection of coffees and teas and has some simple food options too. Calle de la Ruda, 11, 28005 Madrid – Read our full review here. Spain is not exactly known to have a very vegan-friendly kitchen but even in a land obsessed with chorizo and jamon, some people are putting vegan food on the menu. This café in-between Chamberí and Malasaña has excellent coffee and some really decent vegan food options. The downstairs cellar is cool and refreshing during summer. Calle Francisco de Rojas, 9, 28010 Madrid – Read our full review here. Located in multi-cultural and vibrant Barrio de las Letras, Acid Café is a friendly and homely place that exclusively serves coffees from Danish roaster La Cabra and where most of the dishes include fermented or pickled ingredients. This is a great spot to cool down during the summer heat while exploring the area’s lovely boutiques and museums. Calle de la Verónica 9, 28014 Madrid – Read our full review here. 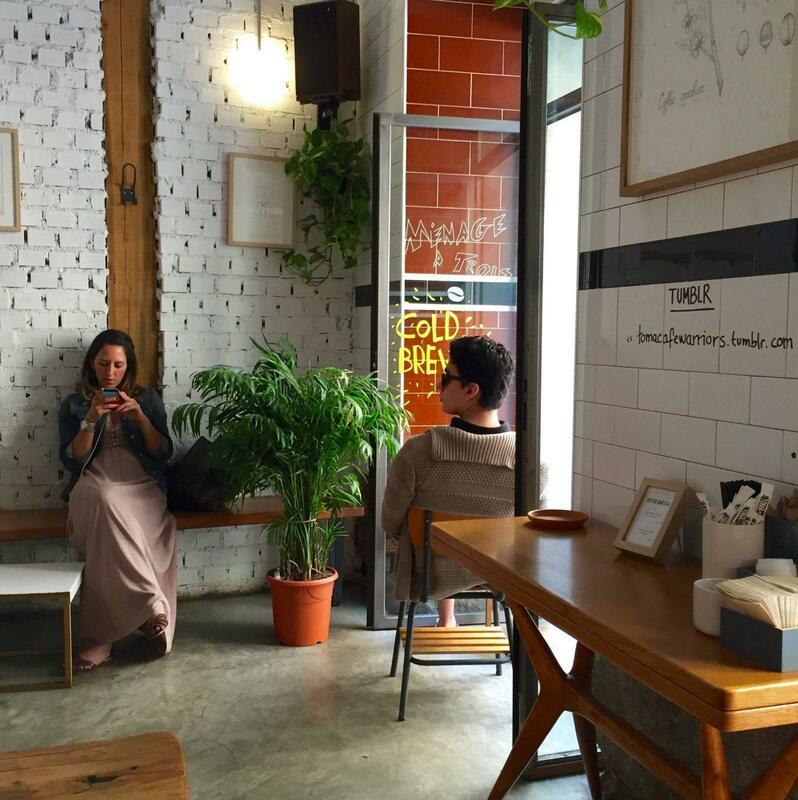 Little more than a hole in the wall, this Aussie and Spanish run café is famous for its delicious lunchtime salads and dishes that are particularly popular with local office workers but Zoë and Javier also make really damn good coffee. Pop in during the morning or afternoon to avoid the crowds and take a seat at the bar to chat with the lovely couple. Calle del Cardenal Cisneros, 62, 28010 Madrid – Read our full review here. A few years ago, before the local coffee scene really started taking off, Barry Randall was one of the city’s first roasters who took specialty coffee seriously. 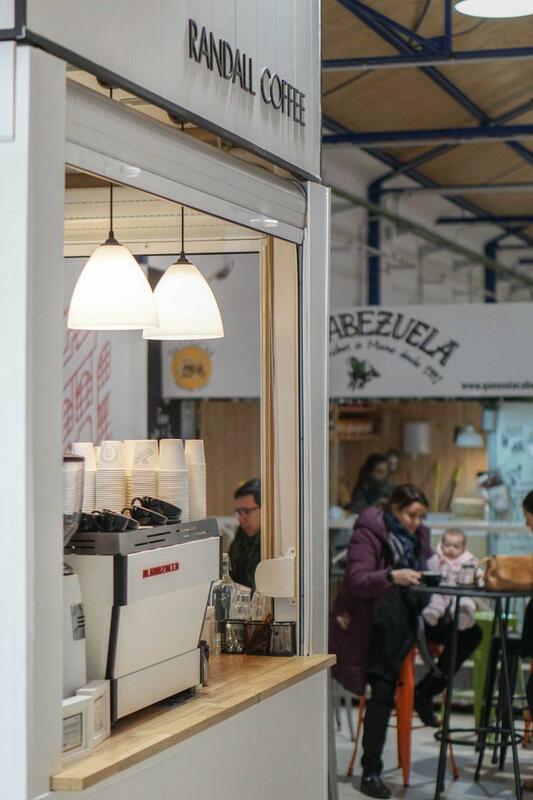 Since then, he refined his output, rebranded slightly and opened a stall inside the beautiful Mercado de Vallehermoso. Calle de Vallehermoso, 36, 28015 Madrid – Read our full review here. Another one of Madrid’s wonderfully friendly and cosy cafés, this Chamberí institution recently moved a few doors down from its original location into slightly bigger premises and is one of the only places in town where you can sample coffees from Nordic or German roasters. Calle de Viriato, 37, 28010 Madrid – Read our full review here. 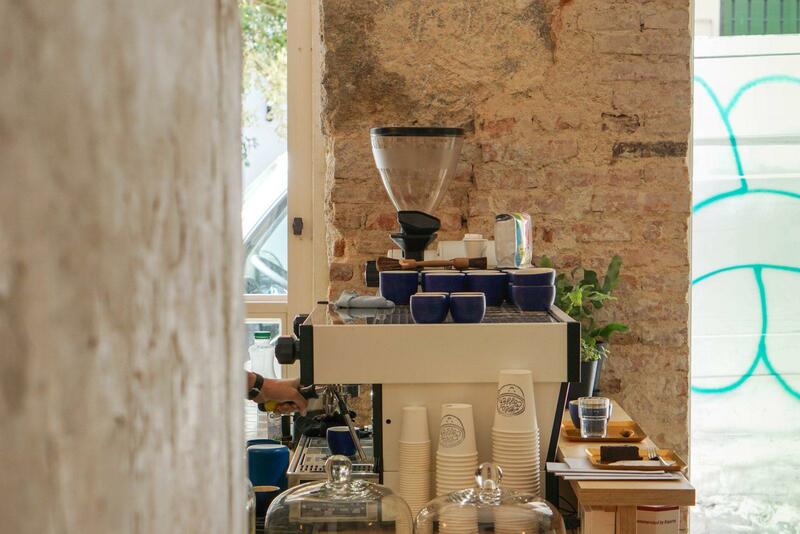 Run by the same guys behind Misión Café further up on this list, Hola took Madrid’s coffee scene to a whole new international level thanks to its energetic founders and its ambition to show the world that the Spanish capital is a force to be reckoned with. Calle del Dr. Fourquet, 33, 28012 Madrid – Read our full review here. No guide to the city would be complete without mentioning Toma. These guys were ahead of the pack and really helped establish specialty coffee in the city at a time when Starbucks was still considered ‘cool’. 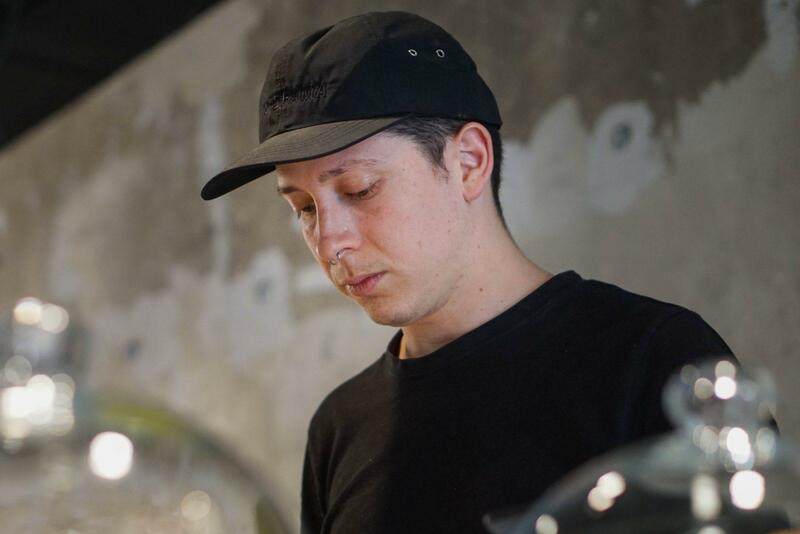 Now they have two locations, a roastery and a training facility and are widely considered the fathers of Madrid’s young coffee scene. Calle de la Palma, 49, 28004 Madrid – Read our full review here. Thanks Ana. We will keep your suggestions in mind for our next visit! 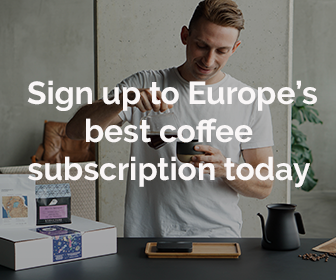 As a specialty coffee fan, I would most definitely add Cafeteando (Café|Té|Ando) in Plaza Olavide + El Oso y el Madroño on Calle Doce de Octubre + Zero Point Coffee Shop on Calle de Santa Isabel to this list (top of mind, ‘cause there are quite a few others as well). We are always updating our list @Chava. If you have any recommendations, please send them our way!